It is not yet finished but it is up. 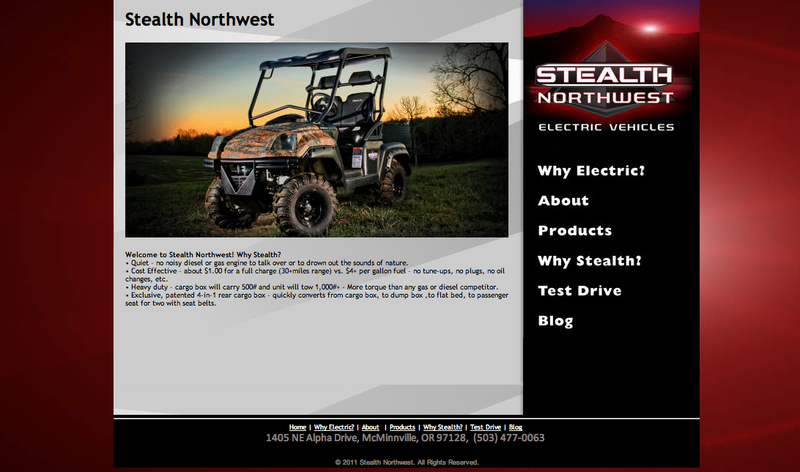 Go to www.stealthnw.com to learn more about the Stealth Night Hawk and Stealth Northwest. We are the new Distributor for Stealth products in the Northwest. If you know any good dealers who are customer focussed and who would add value to the purchase of a Stealth Electric Utility Vehicle (EUV), let us know. We will be choosing and training dealers over the next few months. This entry was posted in Electric Vehicle and tagged 4 x 4, Electric Utility Vehicles, Electric Vehicles, EUV, EVs, Stealth Northwest, Utility Vehicle, UTV. Bookmark the permalink.